Can I pass credit card fees on to my clients? If you take online payments and would like to pass on the credit card fee to your client, you can do this through your Square configuration in Settings › Client Payment Methods. Debit card surcharge rules may vary by state, regulatory, or card network rules. Please touch base with a tax professional or your local government for further guidance on whether surcharges are permitted in your area. In certain jurisdictions, such as the UK and EU, this may be illegal. It is your responsibility to meet all legal and card network requirements, including notifying both Visa and MasterCard. Credit card processing fees are taken out of the total amount of the transaction, including tax, tips, and any added surcharges. Following this example, $99.71 will be deposited to your linked bank account. Reducing your credit card processing fee from $3.29 to $0.29. If you're interested in enabling this surcharge feature, in Settings › Client Payment Methods, you'll either integrate with your Square account or edit your existing integration. 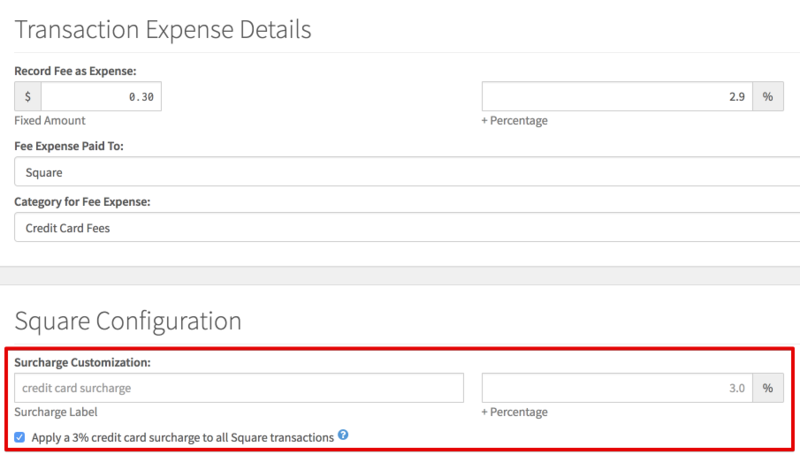 In the Square Configuration box you'll check the option to Apply a 3% credit card surcharge to all Square transactions. While 3% is the default rate to charge, you can customize that to be whatever percentage you'd like (up to a maximum of 4%) in the Percentage box provided. You can also customize the wording used for the surcharge label on your job ledgers and on the payment option screen on invoices in client access in the Surcharge Label field. 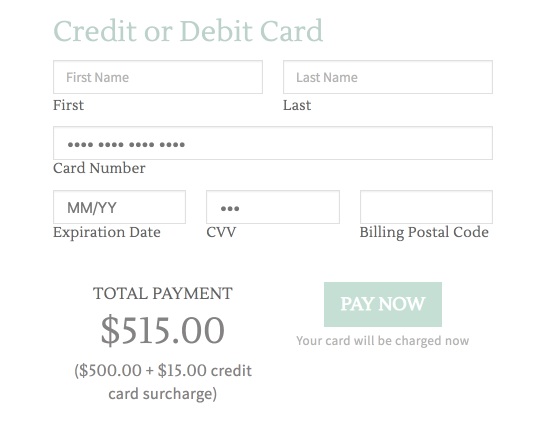 By default it will refer to it as a "credit card surcharge" unless this is changed. Please note that this feature is currently only available with the Square payment gateway in Táve. While there are a few exceptions, our roadmap for the next year focuses almost exclusively on Client Access and enhancing our integration with our top three third-party integrations: Google, Square, and ShootProof. This is the first of multiple new features adding enhanced integration features to the Square payment gateway, which is the most used gateway in Táve with two thirds of all online Client Payment Methods configured for Square.